Available Now! : HUD Home Just Listed Near the College! You will Love it! FHA Buyers , YES!! HUD Home Just Listed Near the College! You will Love it! FHA Buyers , YES!! HUD home just listed in a prime area of Turlock. Offering almost 1800 SF, 2 BD & 2 Baths. Lg family room w/fireplace & slate looking tile flooring, spacious dining rm, kitchen & even a huge bonus rm! Enclosed patio, a backyard big enough for a lg pool & even a garden. College close by, shopping & easy freeway access makes this home the perfect starter home. FHA buyers you can utilize a FHA 203k loan to get new flooring, appliances, paint etc. 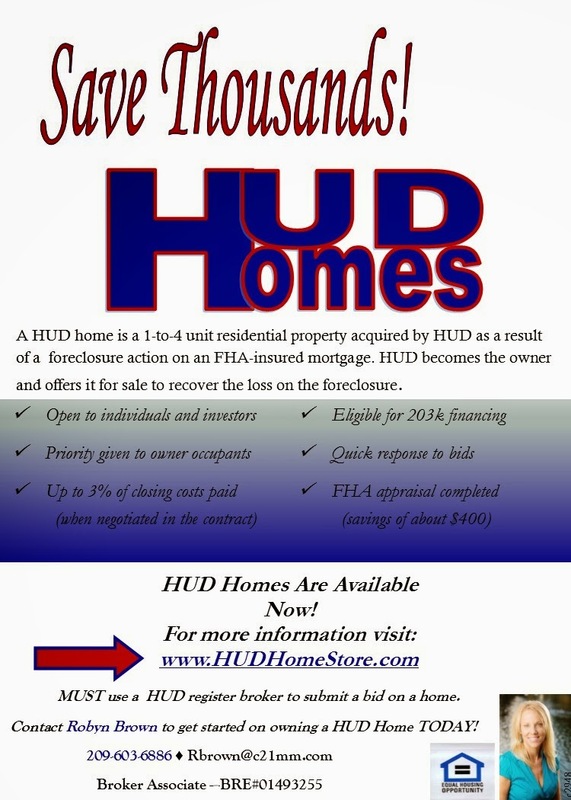 HUD will pay up to 3% toward Buyers Closing Costs!